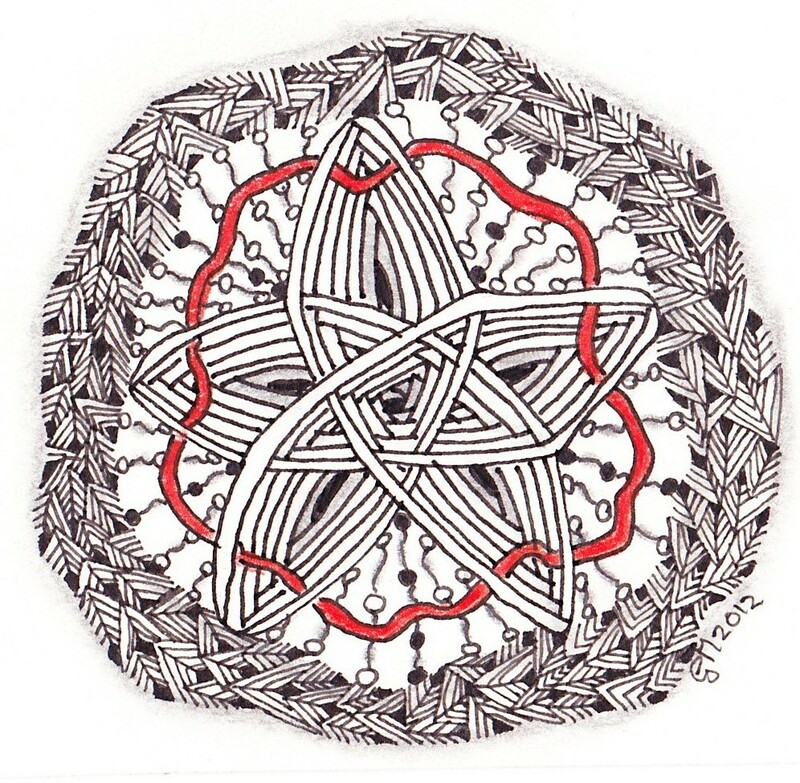 I finally catched up with my "homework" for Joni's Zentangle Club. Here is my June contribution. We had to use Zedbra and Shard. I've never tried Zedbra but Shard I've used before. 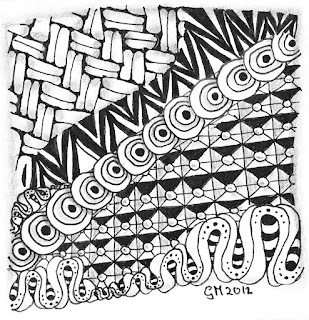 Tangles used: Jute, Zedbra, Purlbox and Prestwood. 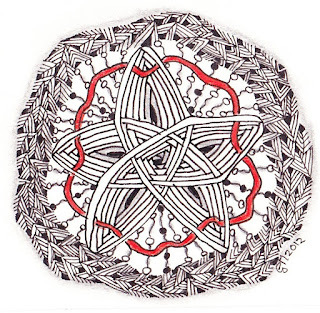 When I was ready to work on Shard I received Rick and Maria's newsletter showing how to draw the new tangle: Auraknot. I wanted to try it out immediately and used it with Shard. Tomorrow Joni will send the July tangles. I better keep up. Another challenge I have neglected is from I am the Diva. Hopefully I will be able to participate soon. 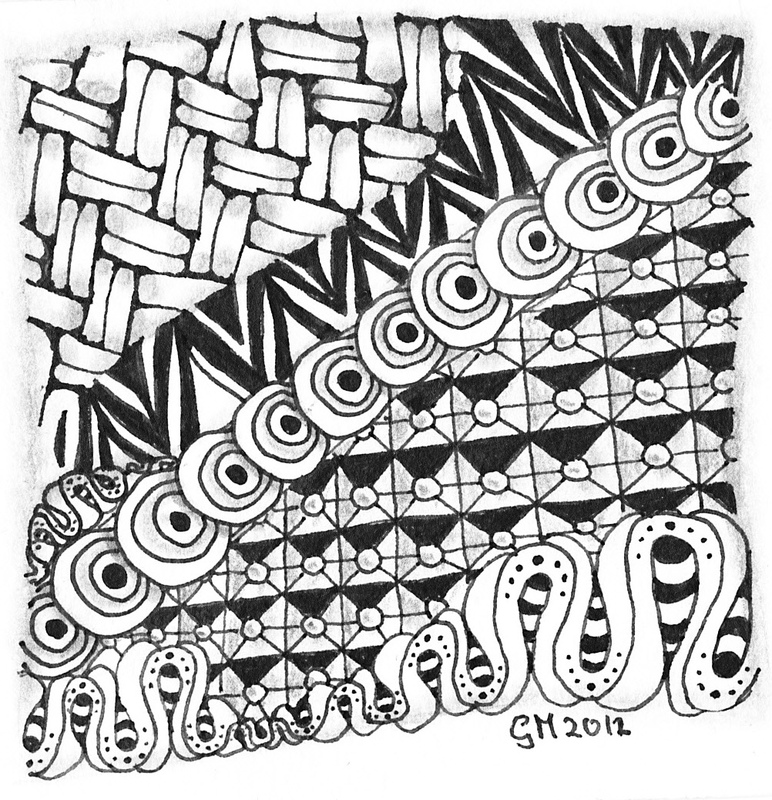 loving your creativity Geke; both great tangle images; well done! Good to see you all caught up! You are doing a fantastic job on your club tangles. Maybe next visit to the States you should go for your CZT and then you would be able to teach others in your area. We miss seeing you at club. A walk to "De Moestuin"